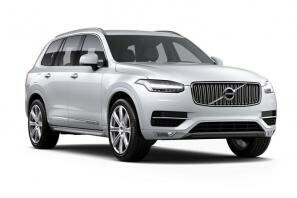 Find the best Volvo XC90 leasing deals at CarLeasing.co.uk. Volvo’s well known XC90 has been given a massive facelift. It is still a safe, spacious and luxurious 7 seater SUV. The engine is transversely mounted for design efficiency, meaning the interior is very large. The XC90 has had a complete re-design to give it a fresh, exciting and above all spacious feel. Volvo have even re-designed the cars badge! Find your perfect Volvo XC90 by browsing our deals below. Choose from a range of optional extras and even insurance or maintenance if you want complete peace of mind. Our latest Volvo XC90 leasing deals. Click the links below to view our latest Volvo XC90 leasing options. 3 reasons to lease your next Volvo XC90 from us. We deliver your brand new Volvo XC90 vehicle for no additional cost.